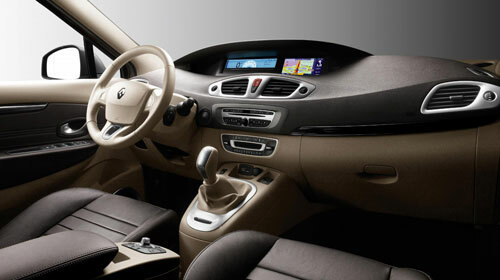 Renault have launched their latest Scenic model with the option of an in-dash TomTom Navigation system. Neatly integrated into the digital dashboard it uses the same display panel as the optional Bluetooth DVD. The TomTom navigation option offers a wide-screen display with all the features you would expect of a TomTom device and of course all the benefits of a factory fit system. 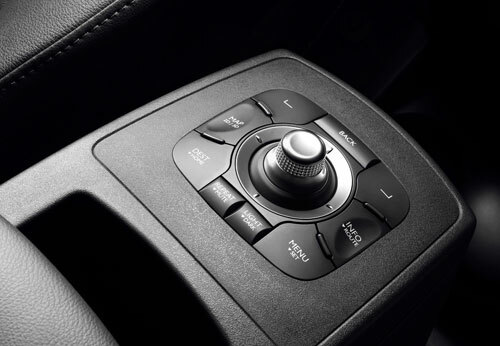 Little else has been revealed about the features and specifications of the unit but it does have a superb remote control interface integrated into the central console/arm rest with buttons located around a central joystick providing access to common features, 2D/3D map, quick 'HOME' access. Lets hope they have made a better job of it than the Toyota Yaris effort !! I my mind its a good idea if its done properly a big selling point in fact !! Volvo also tried it I am not sure if they were any better as I think it was just a docking position they provided !! little more? yep! it had a volvo splash screen too...! ... and Volvo dealer POIs.